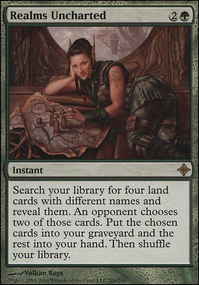 Hey, Jund Panorama and Naya Panorama are budget fetch lands. 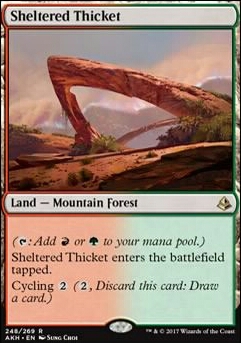 Game Trail and Sheltered Thicket are budget Gruul duals lands. Fierce Empath can tutor for Avenger or Baloths or any other 6 CMC or higher creature. Signal the Clans is an instant tutor to search for three different creatures and put one of them randomly into your hand. 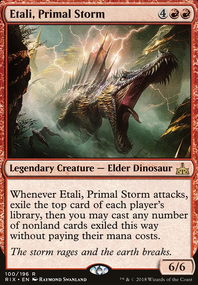 Mina and Denn, Wildborn gives you another land drop per turn and it's a landfall enabler. Budoka Gardener / Dokai, Weaver of Life and Walking Atlas let you put a land from your hand onto the battlefield. Skyshroud Claim , Farhaven Elf and Wood Elves are upgrades for land ramp. Smokebraider can help to ramp into Omnath, Avenger or other Elementals. Beast Within , Nature's Claim , Hull Breach and Decimate are upgrades for removal spells. Greater Good is a draw engine and sac outlet for Elementals. 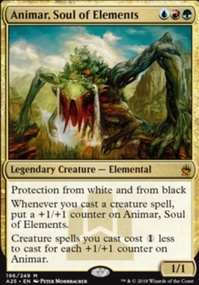 Multani, Yavimaya's Avatar is a upgrade for finisher creature and he's an Elemental. Bane of Bala Ged is an underrated budget big creature; it's excellent with haste. Rhythm of the Wild is more haste and protects your creatures from being countered. If the above cycle is still expensive, you can use Irrigated Farmland , Fetid Pools , Canyon Slough , Sheltered Thicket , Scattered Groves . Also: the cheap cycle Flood Plain , Bad River , Rocky Tar Pit , Mountain Valley and Grasslands pairs well with the cycles mentioned before. 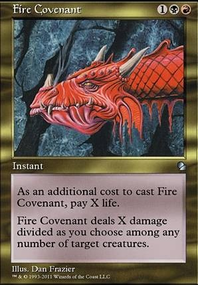 Check out my Xenagos Dragon deck, Xenagos, God of Revels . It used to be completely dragon tribal but i've shifted a bit away from that and found that it works excellently. I've been playing and tuning it for the better part of 6 years now, and I think it's in an excellent state. It's not the most powerful because i'm trying to keep it fun for everyone else to play against, but I still think you might pull a few good ideas from there. As for any suggestions off the top of my head, you might want to look into speeding things up a bit. It won't overpower the deck at all, but it'll allow you to play your own game a bit more and have more control. Cards like Dragonspeaker Shaman are nice, but rather than playing that why not instead play a ramp spell that'll accelerate every card you play and can't be removed as easily. Look into Nature's Lore , Skyshroud Claim , and Explosive Vegetation . 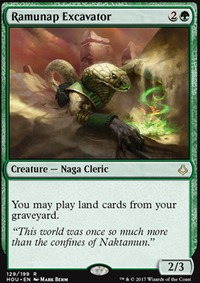 The first two can grab lands like Stomping Ground and Sheltered Thicket , while the last allows you to grab multiple basics. Another great one is Tempt with Discovery . Cards like Dragon Broodmother are nice, but Balefire Dragon and Skyline Despot are significantly better imo. 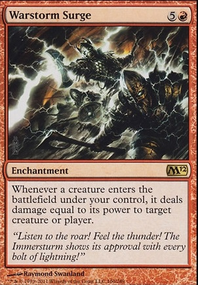 Asceticism and Archetype of Endurance provide excellent protection from more casting based decks, and Heroic Intervention will give it to you at instant speed. Chromatic Lantern will also give you both mana fixing and further ramp. Finally, check out Exploration and Burgeoning . Exploration is a little more expensive but Burgeoning is a little cheaper and fantastic. There are a ton of other things you might like if you check out my deck list.